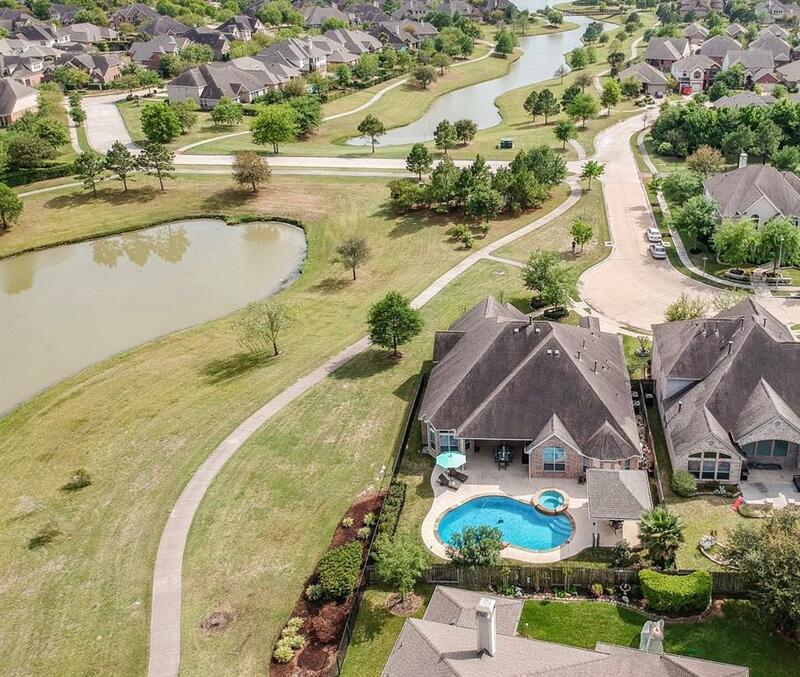 This Bridgeland home has it all: waterfront, pool, spa, outdoor pavilion, cul-de-sac and one story! This beautiful 3 Bedroom Village Builders home has hand scraped hardwood floors except secondary bedrooms, fantastic kitchen with large island, double convection oven, breakfast area with built in desk, huge pantry with built in spice rack and butler's pantry with glass cabinet doors. Great floor plan with Formal Dining Room and Open Floor Plan Living Room with fireplace and wall of windows to backyard retreat. 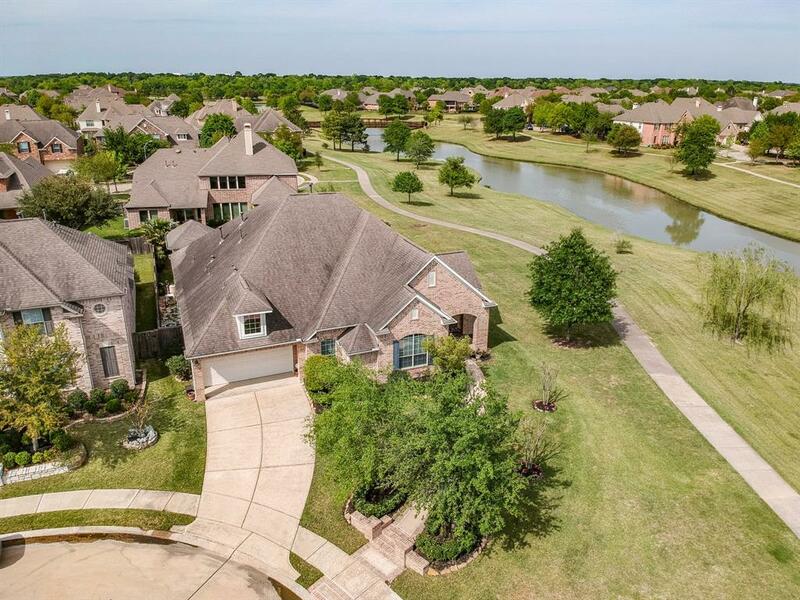 Office/Study with built in bookcases, large Master Suite with double vanities, jetted tub, step in shower and custom built 3 level walk-in closet. 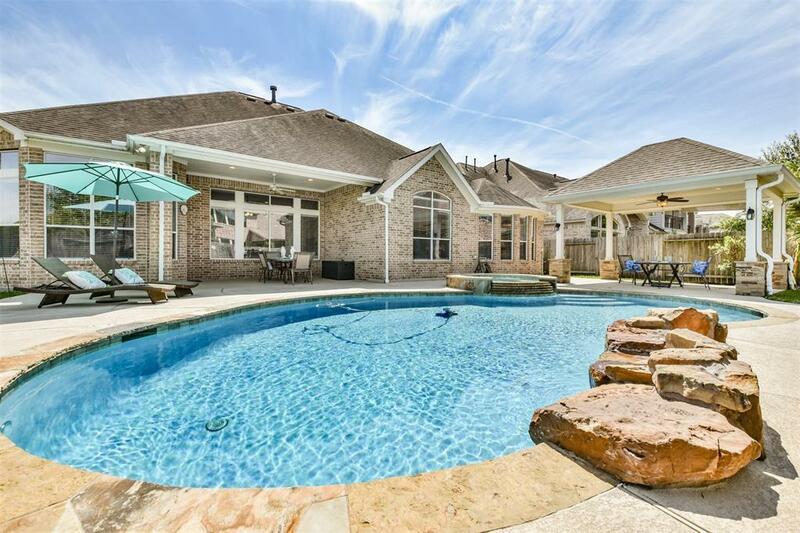 Exterior is a dream with a pool, spa and 3 water features. 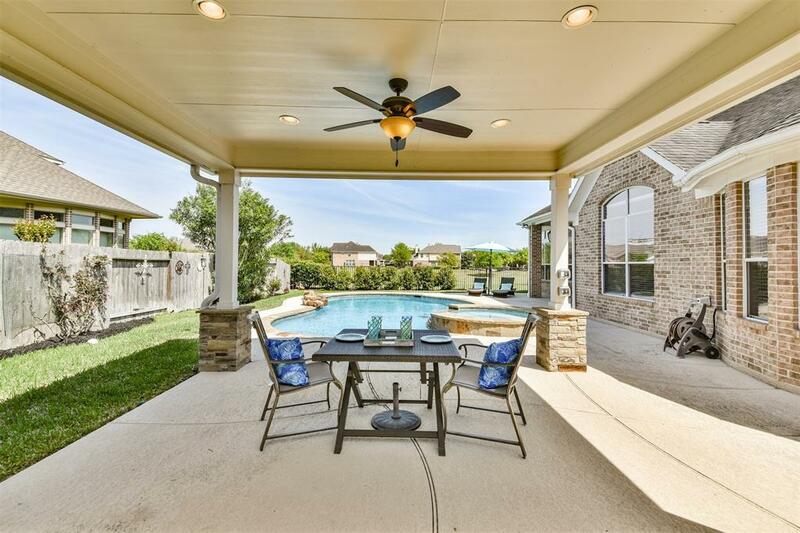 Covered pavilion with shades and ceiling fan adds living space to enjoy lake life in addition to a covered patio. Epoxy garage floor, built in racks for extra storage. Full gutters, sprinklers front and back. Refrigerator in kitchen & utility room stay!